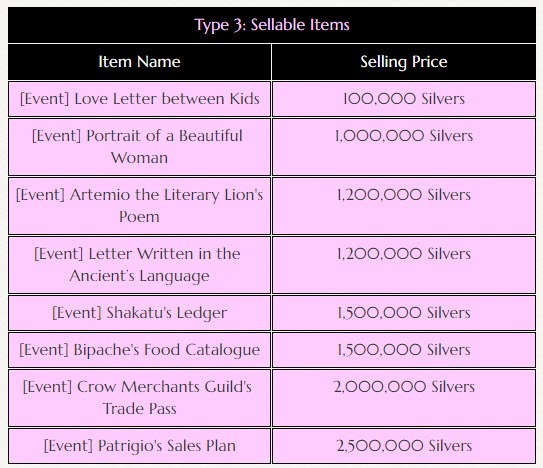 Black Desert Online is running a series of three events from Feb 14 to Feb 28 for Valentine. 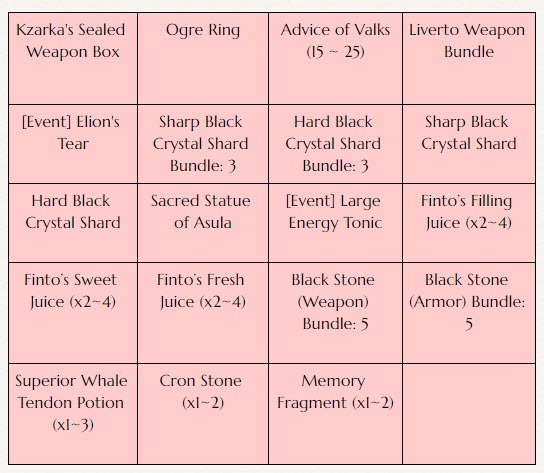 ♥ During the lovely event period, FISH to get [Event] Message in a Bottle which you can Right-click to open to receive various quests and items. 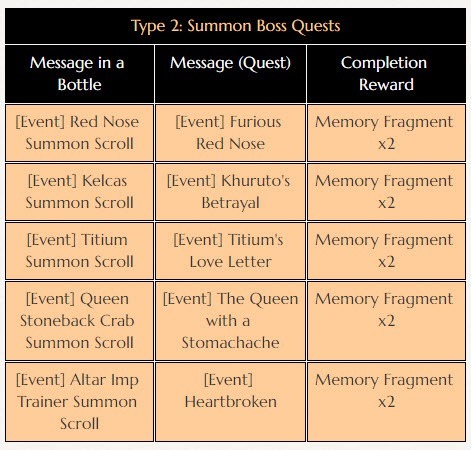 Inside the [Event] Message in a Bottle, you will find 3 types of messages with which you get new quests, summon bosses, or items to sell for Silvers! ♥ During the sweet event period, Get [Event] Cacao from Defeating Monsters or Gathering. Event items [Event] Cacao, [Simple Cooking] Cacao Powder, and [Event] Cacao Chocolate will not disappear after the event ends. ♥ During the heartwarming event period, play an hour a day to complete the Challenge (Y) and receive [Event] Sweet Gift Letter. You can complete the Challenge (Y) once a day, per Family. You will get an [Event] Sweet Gift Letter from the Challenge (Y) tab for an hour of playtime. You can show your love and appreciation by sending the [Event] Sweet Gift Letter to another Adventurer. The Adventurer who you send the [Event] Sweet Gift Letter to will get an [Event] Sweet Gift. If the recipients open the [Event] Sweet Gift, they will get a [Event] Sweet Chest, [Event] Cacao Chocolate, and an [Event] Sweet Reply. [Event] Sweet Reply can be used like a reply of gratitude (which contains Sweet Chest only) back to the sender or to other Adventurers.